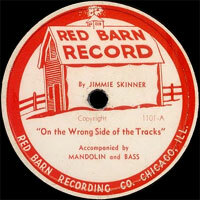 Chanteur US né le 27 Avril 1909, originaire de Berea (Kentucky), Jimmie Skinner fit ses débuts à l'orée des années quarante pour le label Red Barn Records, puis chez Radio Artist's Records où il obtient un premier hit. 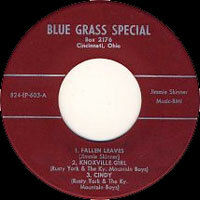 C'est à cette époque qu'il développe une musique personnelle influencée par le folklore des Appalaches, le Honky Tonk et le Blue Grass de son Kentucky natal. Il passe ensuite chez Mercury, Decca et Starday Records. 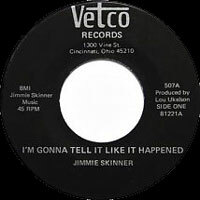 Prolifique compositeur, interprète de Country et artiste talentueux, Jimmie est resté fidèle à la vrai Country Music jusqu'à sa mort survenue le 27 Octobre 1979. 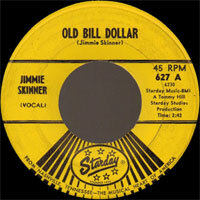 Skinner was born in Blue Lick, near Berea, Kentucky. In his teens, he moved with his family to Hamilton, Ohio where he began performing on local radio stations. 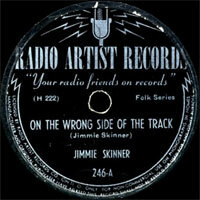 He and his brother Esmer unsuccessfully auditioned for Gennett Records in 1931 and Bluebird Records in 1941. 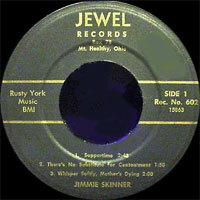 Ernest Tubb landed a hit with Skinner's composition "Let's Say Goodbye (Like We Said Hello)" in 1946. 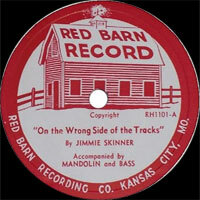 The following year Skinner saw his first record releases on Red Barn, a custom vanity label based in Chicago, Illinois and Kansas City, Missouri. 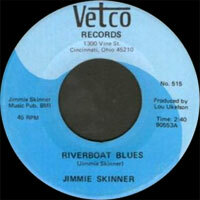 After moving to Cincinnati, Ohio, Skinner met Lou Epstein, a former sales manager for King Records then operating his own label, Radio Artist. 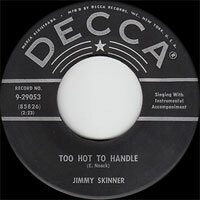 Epstein signed the singer to a managerial and recording contract in 1949; a cover of Jimmy Work's "Tennessee Border" became Skinner's first chart hit. 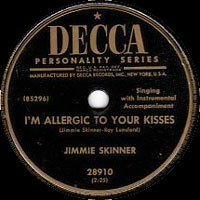 Skinner's early records were notable for their sparse instrumentation, usually backed by electric mandolinist Ray Lunsford. 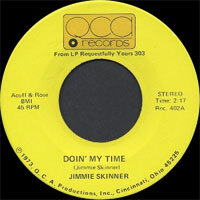 Skinner's early sides have been cited as an influence on Johnny Cash, who covered his chain gang song "Doin' My Time" for Sun Records. 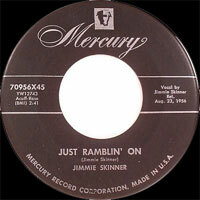 Other Skinner compositions that became country and bluegrass standards are "Will You Be Satisfied That Way" and "Don't Give Your Heart To A Rambler". 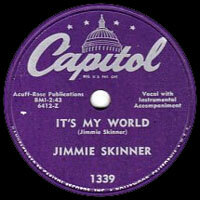 In the early 1950s, Epstein opened The Jimmie Skinner Music Center, a Cincinnati mail-order and retail record store that advertised heavily on WCKY-AM and other country music stations. 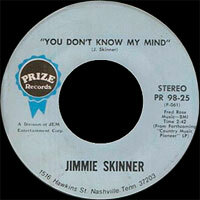 Skinner also hosted a one-hour remote dee jay broadcast from the store's display window. 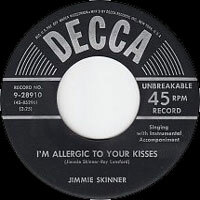 Throughout the early 50s Skinner recorded for Capitol Records (1950–1953) and Decca Records (1953–1956), but his most successful label association was with Mercury Records between 1957 and 1961. 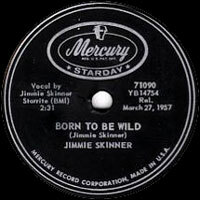 His late-1950s recordings of "What Makes a Man Wander", "Dark Hollow" and "I Found My Girl in the USA" reached the top 10 of the Billboard charts. 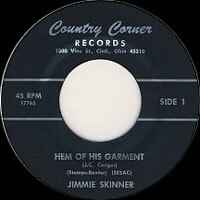 He also recorded duets with Connie Hall, a frequent guest on his radio show over WNOP-AM in Newport, Kentucky. Resisting Mercury's attempts to change his signature style, he joined Starday Records. 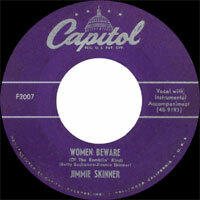 After Epstein's 1963 death from a brain tumor, Skinner's career fell into a decline. 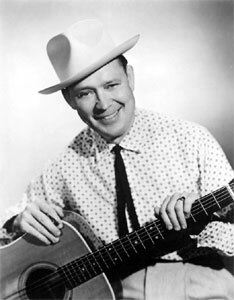 He later became a fixture on the bluegrass festival circuit and resumed his recording career, primarily album releases for small labels including Rich-R-Tone. 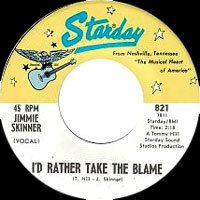 In 1974 Skinner moved to Nashville, Tennessee, where he continued to write songs and play festivals until his death from a heart attack five years later. 1964 SP WING 12277 (US) . 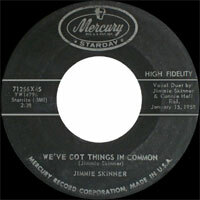 Lonesome At Your Table (with Connie HALL) / ? 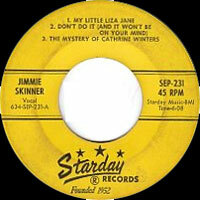 04/1965 SP STARDAY 7009 (US) . 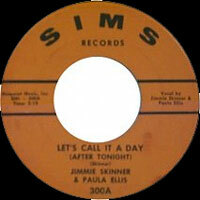 Dark Hollow / I Found A Girl In The U.S.A.
1973 SP QCA 402 (US) . 197? SP VETCO 530 (US) . I Heard Jesus On My CB / ?